When examining last weeks performances, a few names continue to show up throughout. Those names are Elvin FoFanah of Bowling Green High School and Isiah Pantiere of University Heights Academy in Hopkinsville. A few who have paid attention to last weeks power rankings know how dominant Pantiere has been thus far in the season, showing up at #2 on that list. 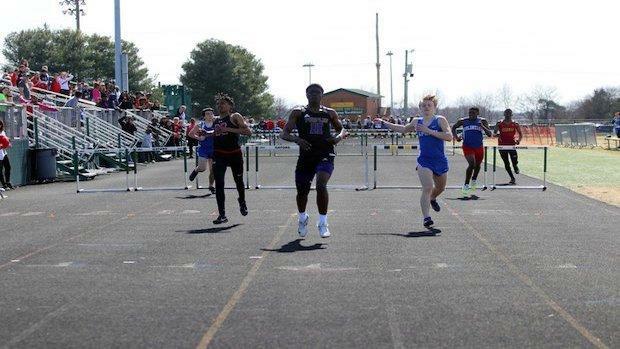 This week he led the way in three different events in the Western Kentucky Super Region including the 100m dash (11.23), 200m dash (22.55), and long jump (20-10) with all of those marks coming at the Marshall County All-Comers. Just behind Pantiere in the long jump was BGHS's Elvin FoFanah who posted a 19-8 for the win at the Bruin All Comers. No different from the whole season, FoFanah was an extremely busy man throughout the meet. He competed in the 110mH, 300mH, Long Jump, and anchored the 4x200m Relay team. Of those events he pulled out the win in the 110mH (16.27), 300mH (41.36), and as mentioned before, Long Jump (19-8). On the distance side of things, Deshawn Crowe, also of Bowling Green High School paved the way for the 800m, clocking in at 2:03.44 at the Bruin All-Comers. Behind him followed Peter Furgal (2:05.30), Wes Grogan (2:05.69), and up and coming Sophomore out of Greenwood Cole Jackson (2:06.10). Jackson wasn't fresh for that 800 either after running a 4:39.58 in the 1600 earlier that day as well as helping his 4x800m Relay team to a win at the Bruin All-Comers. Coming in at the top of the leaderboard for the 1600m, however, was John Cason from Owensboro Catholic who made the trip to the HCHS Quad meet last week. Finally, in the 3200m, the top 2 times came from the Greenwood All-Comers in Kyle Woodward of South Warren and Will Lovell of Warren East. The senior from South Warren came through in a 10:24 while Lovell followed him through the line at 10:41. In the field events, Barrett Henley of Mayfield came out as the big dog of the week. 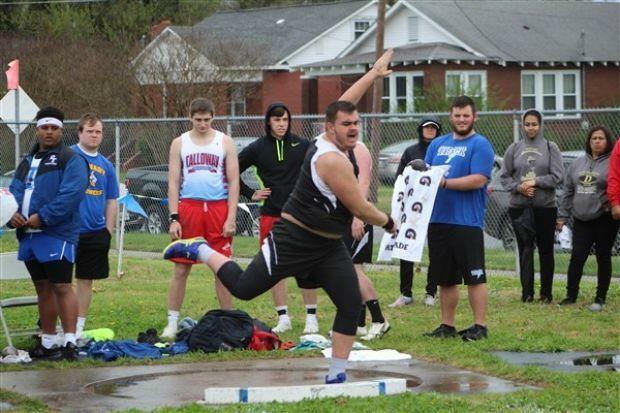 At the Marshall County All-Comers Henley launched the discus to a 127-1 placing him first in this super region, as well as securing a #1 spot for the week in the shot put with his mark of 44-11.5 at the same meet. I already mentioned the top two names in the long jump with Pantiere first and FoFanah second, but Joel Muamba was the top dog in the triple jump. Muamba jumped a 42-2.5 at the Greenwood All-Comers to bring home a 1st place medal for his Greenwood Gators. In the high jump, Darius Duffy and Justin Borden each jumped for a 6-0 mark this past week bringing home the gold for their respective programs. Last but DEFINITELY not least, Marshall County teammates Caleb Pahl (12-0) and Bryce Ladd (11-0) topped the charts in the Pole Vault this week at their home Marshall County All-Comers. Taking a look through last weeks performances, no one athlete sticks out as dominant, however the ladies of Western Kentucky showed some strong individual performances. Meets around the area featured mostly all-comers races including the Bruin All-Comers, Greenwood All-Comers, Marshall County All-Comers, and HCHS Quad. Just about all of the marks you'll see are from those four meets. From the sprinters, Grace Klusty of Bowling Green led the way in the 100m (13.36) as well as posting the fifth fastest 200m (28.29). 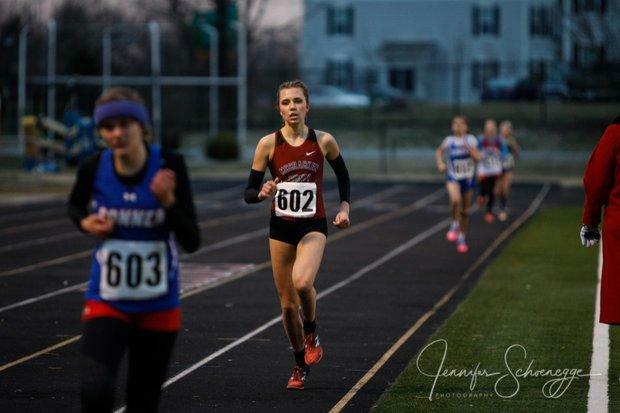 However, Gillian Davis from McCracken County posted the fastest 200m time with a 27.43 at the Eva G Hinshaw Invitational as her team made the trip out to East Prairie Missouri while Hannah Whittinghill out of Butler County raced her way into the top spot with her 1:04.75 400m. The hurdles were dominated by McCracken County's Lizzie Levinson at the Eva G Hinshaw invite with her 16.82 100mH performance and 50.06 in the 300mH. The distance events featured a plethora of outstanding performances from the young guns of the area, specifically the class of 2021. Two Sophomores topped the charts in the 1600m with Maggie Aydt (5:22.63) and Kate Keller (5:51.30), and Kate Cansler, another sophomore out of University Heights, led all 800m times running her 2:33.60 at the Marshall County All Comers. Lexie Paszkiewicz, another athlete from the class of 2021 took home second place at the Bruin All Comers 3200m with a 12:12.67 as her Bowling Green High School teammate Kristin Dent took home first in 12:07.58. These ladies posted the 1st and 2nd overall 3200m runs from the Western Kentucky super region. Across the board, the field events from the past week showed solid results. In the jumps, Isabella Tichenor of Henderson County took home the Long Jump title at her home HCHS Quad meet as well as posting the furthest jump of the week with a 15-3. Following her in the long jump were Freshmen Chloe Packard (14-10.25) and Tanaya Bailey (14-10) with both of those girls competing head to head at the Greenwood All Comers. Triple Jump was taken by Jaden Whitehead from Mayfield with her 34-0.5 at the Marshall County All Comers. The top High Jump mark was also from the Marshall County All Comers as Sophomore Tori McCracken cleared 5-2 at her home meet. In the Pole Vault, Caitlin Gillihan out of Owensboro Catholic led the rest by about a foot and a half as she cleared 10-0. Throws were highlighted by Denaleigh Starks and Brooke Springer. Starks showed her strength in the Shot Put throwing for 34-7 at the Arrowhead Quad while Springer led all Discus throws with her 95-10 at the HCHS Quad as her Henderson County teammate Ashby Greenwell threw for 91-10 to take second at the HCHS Quad.